HOUSTON - The owner of a Houston business said a thief made off with one of its work trailers Tuesday morning. Caroline Kostak is the owner of Repurpose Depot on McFarland Street and Navigation Boulevard on the city’s east end. 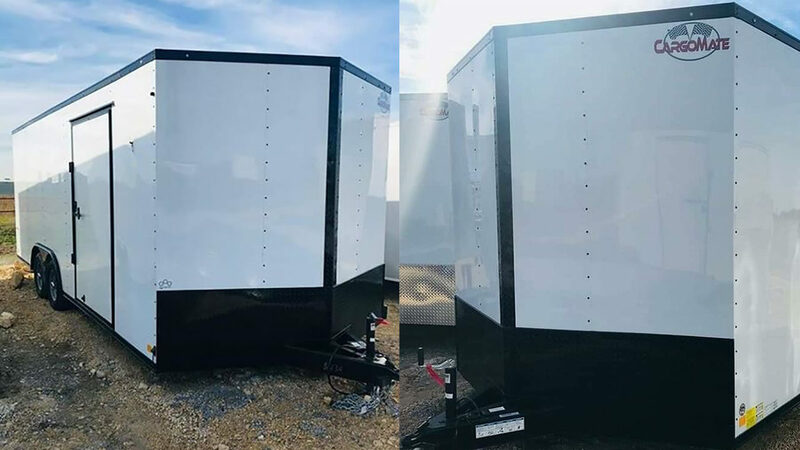 Kostak said employees noticed their new, white $7,800 trailer was missing from the front of the business, where it was parked Monday night. “My deconstruction manager dropped it off last night and he often leaves it at the job site, but needed to bring it back here. They were going to unload it in the morning and when he arrived this morning there was no trailer to unload,” Kostak said. She said the trailer was filled with furniture and work tools. The tools are used to help Kostak deconstruct houses and sell the parts found inside at a fraction of the cost. Kostak said her job will get tougher without the trailer. “I’m not sure how we’re going to transport materials for the deconstructions that we’re working on right now,” Kostak said. She said if she can’t get her trailer back, she hopes at the very least that the thief can repurpose it. “If we don’t get it back I hope whoever has it is able to use it and make lots of money off of it and be useful in society with it. It would be great if we had our trailer back. I would prefer that,” Kostak said. Kostak has created a GoFundMe account in the event she doesn’t get her trailer back. It is a 20-foot trailer with paper plates from Texas: 22454N9.